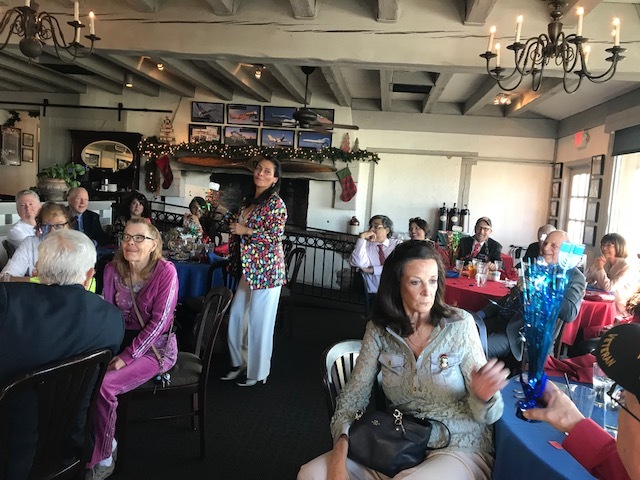 Our President, Michael Parenteau hosted our luncheon with his usual panache and the musical entertainment was provided by Mr. Billy Burdin, who entertained us last year with is wonderful piano playing and singing of an assortment of holiday favorites. Our buffet luncheon featured a great selection of entrees plus a wonderful assortment of desserts. 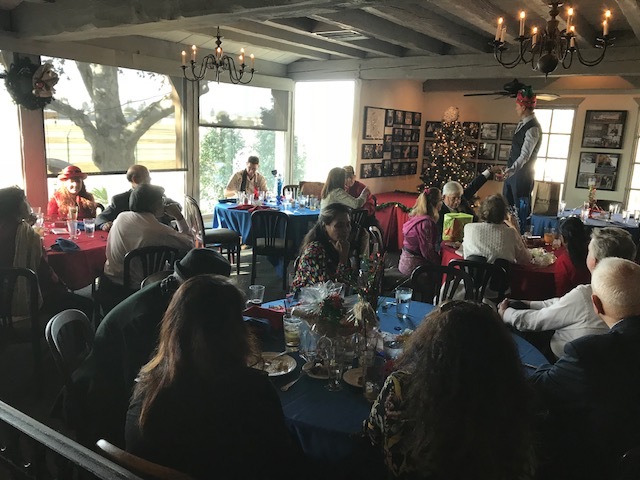 All who came, had a very special afternoon of holiday enjoyment. 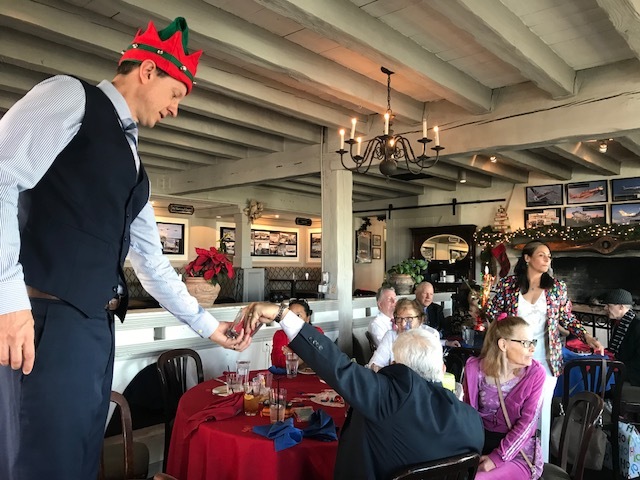 Our club president, Michael Parenteau gave all the lady officers, a beautiful holiday pin.